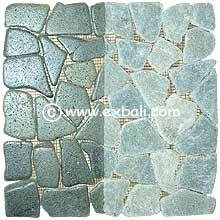 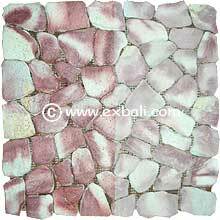 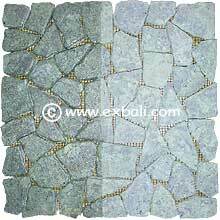 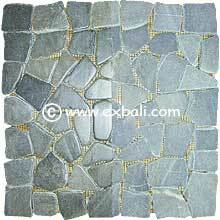 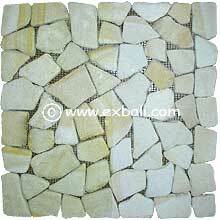 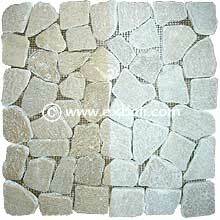 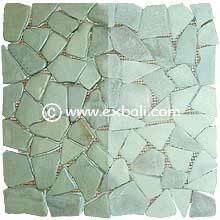 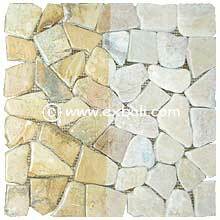 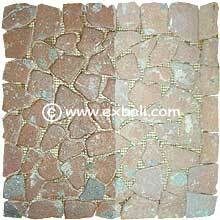 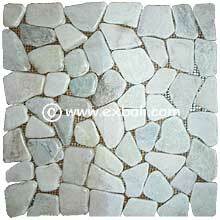 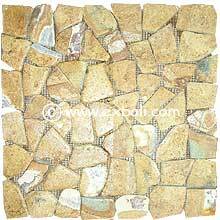 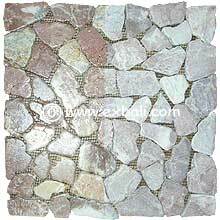 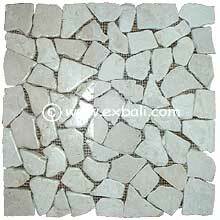 MOSAIC STONE TILE MATS: Pebbles are collected from beaches and rivers in many regions of Indonesia. 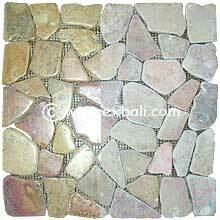 The stones are washed, graded into color and size, then glued to nylon mesh backing for use as mosaic tiles. 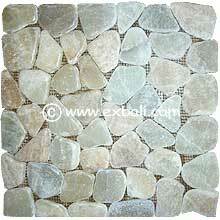 Use in outdoor living areas, swimming pools, patios, entranceways, bathrooms etc.